Coming before the Lord in this way can be daunting. Do not be anxious! 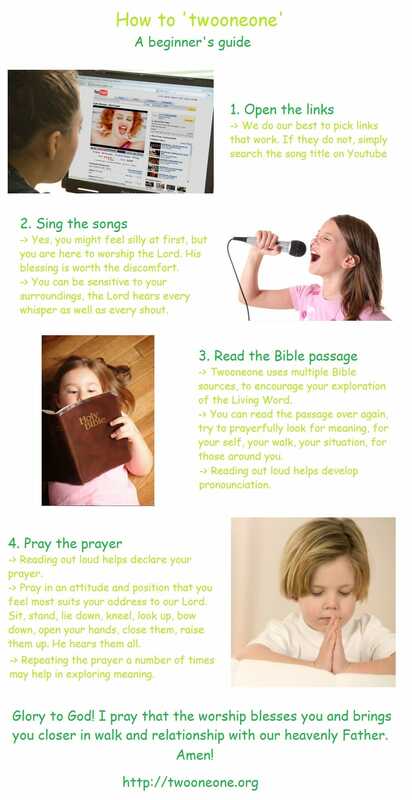 I pray this guide helps you out. There! Wasn't so bad, was it? As the submissions for the site are led by the Spirit (we pray) , there may be occasionally extra songs, prayers and passages. Go with what you can, let God be your guide. Isaiah 43 v19 "See, I am doing a new thing! and streams in the wasteland"